If you happen to need to use string bass synthesizer or guitar string synthesizer, you can also use this string ensemble synthesizer. This produces vintage string synthesizer like yamaha string synthesizer. Main strings, level, octave, tune, and filter type like low pass, and so on. Filter envelope with attack, decay, sustain, release, and amount. You can also play with cut off, resonance, and glissando. Pizzicato, sforzando, and folter envelope. Wheels with bend and expression. Sync with host off, delay, speed, and depth. It also uses waveform like triangle and then boosted with bias, track, and smooth. You can set the sync time and also LFO. Assign with midi channel, and adjust the velocity. 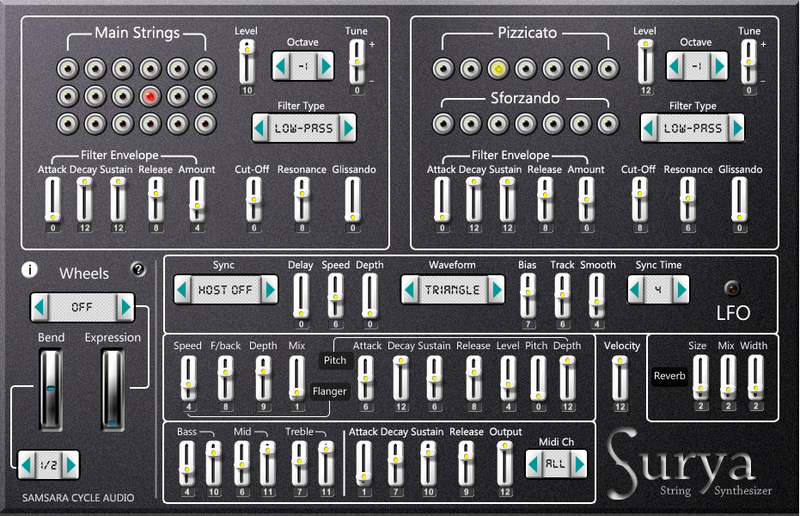 other analog string synthesizer and this free string synthesizer download are solina string ensemble synthesizer, elka string synthesizer, eminent string synthesizer, and arp solina string ensemble synthesizer. The other is arp string synthesizer vst. Want to use it soon? here is the download link.